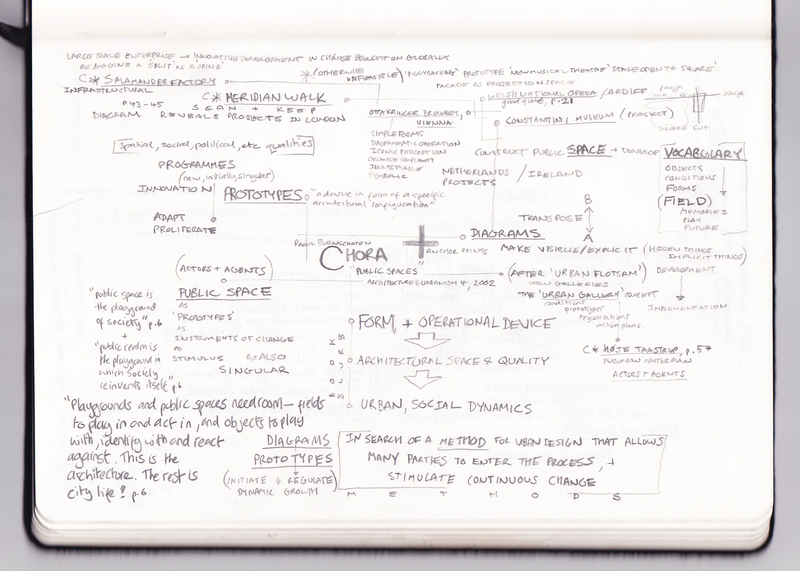 Chora use the ideas of ‘diagramming‘ and ‘prototype‘ to describe the way public space should be simultaneously a singular identifiable architectural space, and a dynamic ‘playground’ open to many interpretations and an evolving pattern of ‘alternate’ uses. 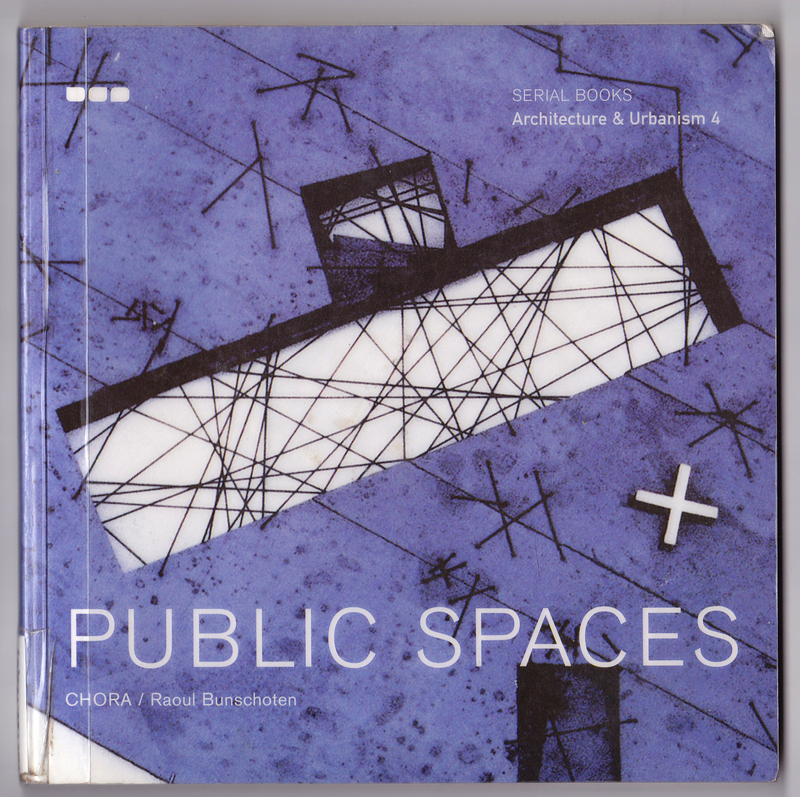 Their books seek a method by which many users may enter the ‘field’ of production of public space. The project ‘Meridian Walk‘ (pp.43-45) resonates particularly with the approach of our studio, as does the vocabulary developed of ‘objects‘, ‘conditions‘, ‘forms‘ and ‘fields‘, extending the meridian north from Greenwich and investigating what would happen if its presence were suddenly made explicit. The idea of a walk along the meridian as a physical intervention allows consideration of individual ‘encounters’ with different ‘actors’, such as independent shop owners, the river authority, etc, and questions the idea of ownership. Below is a list of books referenced in many of the things Im interested in….when someone says ‘get this book’, or ‘i was inspired by this book’, it goes on this list….